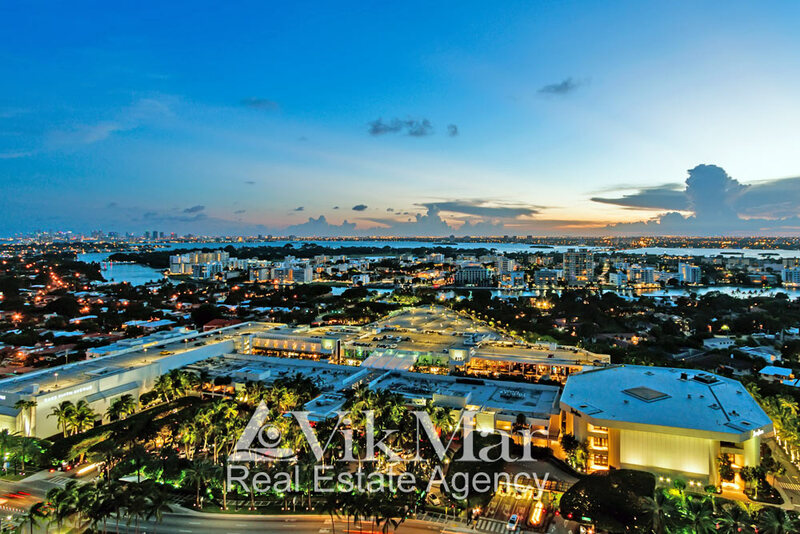 The famous shopping mall ‘Bal Harbour Shops’ on Miami Beach is one of the most profitable elite shopping complex in the USA, and this largely determinates the elegant lifestyle in the fashionable resort area of Bal Harbour. Even decades later, the business vision of one of the 25 first registered residents of the Bal Harbour settlement, a successful entrepreneur Stanley Whitman, as well as his persistence of making the dreams true are still admirable. At that time, the public considered Mr. Whitman’s business cooperation with Robert C. Graham, one of the co-founders of Bal Harbour, and the following purchase of land in the south-western part of Bal Harbour area for building a luxury shopping centre on Miami Beach as businessman’s mistake. Originally at this place, at the intersection of Collins Avenue and 96th Street, it was pre-planned to build a gas station and a food store. But Mr. Whitman’s business actions definitely gave the ground for him to be called as a ‘Seer’ or a ‘Walt Disney of the US Shopping Centre Industry’, by his close friends. The Stanley Whitman’s concept of the Bal Harbour Shops design was based on the original idea of combining two-storey galleries of retail stores with a tropical palm park, grown next to decorative waterfalls and ponds into one architectural ensemble. This idea was fundamentally unusual in the United States where it was common to place shopping centres inside the buildings and to make a man-made climate. The grand-opening of ‘Bal Harbour Shops’ was in 1965. The first significant commercial success of ‘Bal Harbour Shops’ with subsequent popularity among American fashion-lovers, socialites and celebrities from around the world came as а result of an opening of two clothes-supermarkets of the most prestigious American brands as part of this complex. In 1971, the first department store was opened as a part of the Texas based trading group ‘Neiman-Marcus’, and the second — a luxury department store, owned by the New York trading network, ‘Saks Fifth Avenue’ was opened in 1976. 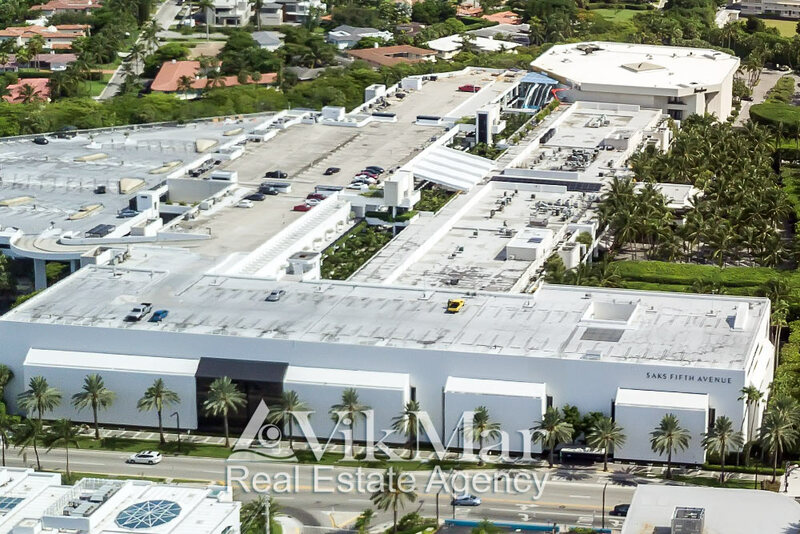 By 1983, the total area of ‘Bal Harbour Shops’ reached already 42,000 m2, or 450,000 ft2. Over the next years, because of the efforts of three generations of the Whitmans, there were opened over 100 fashion boutiques of the world’s most famous luxury and high-end fashion brands, under the same roof of the Bal Harbour Shopping Centre. They include the elite boutiques of Alexander McQueen, CH Carolina Herrera, Chanel, Etro, Gucci, Stella McCartney, Oscar de la Renta, Prada, Dolce & Gabanna and Di Grisogono. Currently, the retail stores selling men’s and women’s clothing, goods for children, beauty and health products as well as luxury jewellery and various gifts are located on the mall’s square. As passing time has proved, it was the first and most successful merger of retail boutiques and large department stores in the country, and uniting them into one shopping complex became the measurement standard in the luxury goods trading industry, providing with maximum annual profitability. At the result of 2012, the sale efficiency of Bal Harbour Shops complex was $2,500 per ft2, the world record figure at the time. In 2013, this famous shopping mall broke its own record with a new figure of $3,010 dollars per ft2. Despite the global economic crisis, retail sales of luxury goods in the stores still continue growing, after three years of slowing sales down. According to a CEO of Whitman Family Development, LLC, which currently manages Bal Harbour Shops, the main problem in managing the oldest US family owned shopping centre is the constantly growing international rental demand for the commercial areas of Bal Harbour Shops, far exceeding its actual capacity. Currently, an approved in 2017 plan for the additional increase in the ‘Bal Harbour Shops’ area by 31,600 m2 (340,000 ft2) is being implemented. In particular, this plan provides for an expansion of the existing ‘Neiman-Marcus’ department store, the building of the third department store as part of the complex, and an allocation of additional retail space to accommodate 20 high-end retail stores of the most prestigious brands, as well as a public cinema and two parkings. Five fine cuisine restaurant complexes and their great service are the essential addition to luxurious shops and department stores surrounded by tropical park. The elegant luxury of the style of ‘Bal Harbour Shops’ can be felt in any hall of any shop, any fitting-room, and even in open parking lots with the ultra-modern supercars of the shoppers, who parked there. Mainly, this is the large merit of Mark Hampton and Maria Sellek, the architects and authors of the original project of the ‘Bal Harbour Shops’ complex and the consultants of all its subsequent renovations. In ‘Bal Harbour Shops’, in addition to the fashion shows and luxury goods collections of the most world-famous designers, there are organized meetings with the authors of the books, as well as the owners of this shopping mall sponsor the ‘Art in Public Places‘ program. In particular, the monumental sculptural composition ‘Pluto and Proserpina‘, created by Jeff Koons, who challenged the great geniuses of Donatello and Michelangelo, was successfully exhibited at the shopping mall area. At first, the masterpiece of this talented American sculptor was shown at the Whitney Museum of American Art in New York. Later, it was a part of exhibitions at the Georges Pompidou National Art Centre in Paris, the Guggenheim Museum of Contemporary Art in Bilbao and the famous Palazzo Vecchio in Florence. The international fame and high rental demand for retail space in the ‘Bal Harbour Shops’ mall lead to the large increase of sales growth and the average real estate prices in the Bal Harbour area, consequently placing this fashionable enclave on the rank of 14th place, among the most expensive areas of Miami and Florida.